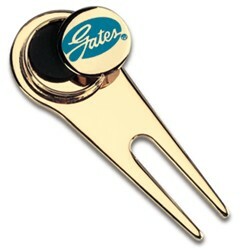 Proudly display your corporate logo on this deluxe golf tool. Press base of ball marker to release from magnet. Includes a one color imprint. / 40.00 Set-up charge per color.